At Foundation, we believe that social change starts with the actions of the individual and that every one of these actions carries an immense power to make a difference. Each quarter we will research and carefully select a non-profit organization in whose mission we strongly believe. We will kick off this partnership with an “Impact Event” (i.e. a really fun shopping experience) where we will bring awareness to each organization’s mission in a way that we hope will spark an innovative and impactful community dialogue. You will be invited to learn about their work, celebrate the good, and contribute to the cause by shopping the season’s best styles. At the end of the three months, Foundation will donate 100% of the profits earned to the featured organization, and be sure to keep you informed on how your purchases have made a positive social impact. Through our alliance of fashion and philanthropy, we aim to champion a wide variety of social movements in need of support. Our path to change the world may be unusually stylish, but its impact can be great. Foundation has done the work, the only thing you have to do now is shop consciously. 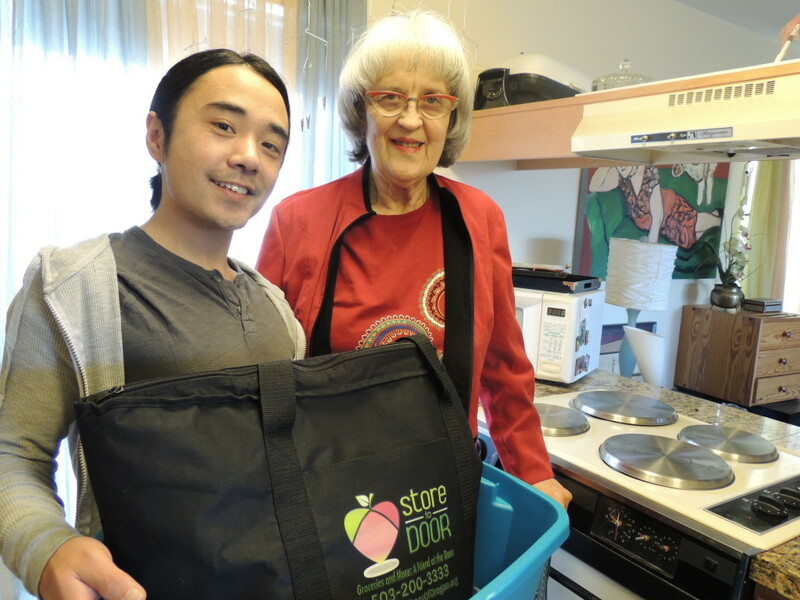 Store to Door supports independent living for Portland-area seniors and people with disabilities by providing an affordable, personal, volunteer-based grocery shopping and delivery service.